The natural inclination to protect our children from harm has for many decades included sun protection. On any summer day, at a whole host of outdoor venues, parents can be seen diligently slathering up their little ones with the prescribed application (and re-application) of sunblock. It only makes sense that protecting young eyes from the damaging rays of the sun should also be a priority, right? 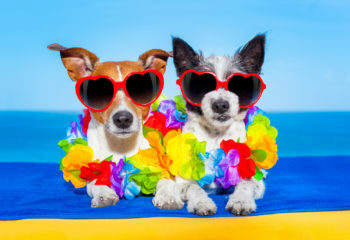 Grown-ups, for the most part, automatically put on the shades at the beach and during outdoor activity. This is behavior we like to see kids mimic. Young children and adolescents are most vulnerable because their eyes do not filter ultraviolet light as well as adults. The damaging effects are cumulative and irreversible, experts say most of the damage occurs by age 18. This is why the sunglasses must be applied, with the sunscreen, from a very early age. 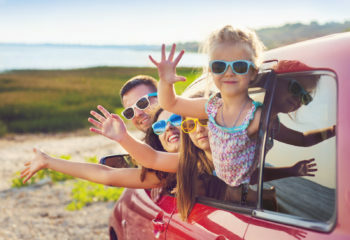 Needless to say, helping your kids develop the habit of protecting their precious eyes from sun exposure, will benefit them for decades to come. 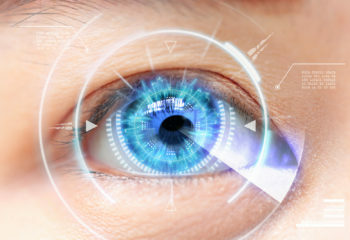 It might actually help them avoid age-related macular degeneration and cataracts much later in life. Sunglasses do not only apply to the summer months, winter offers no reprieve. 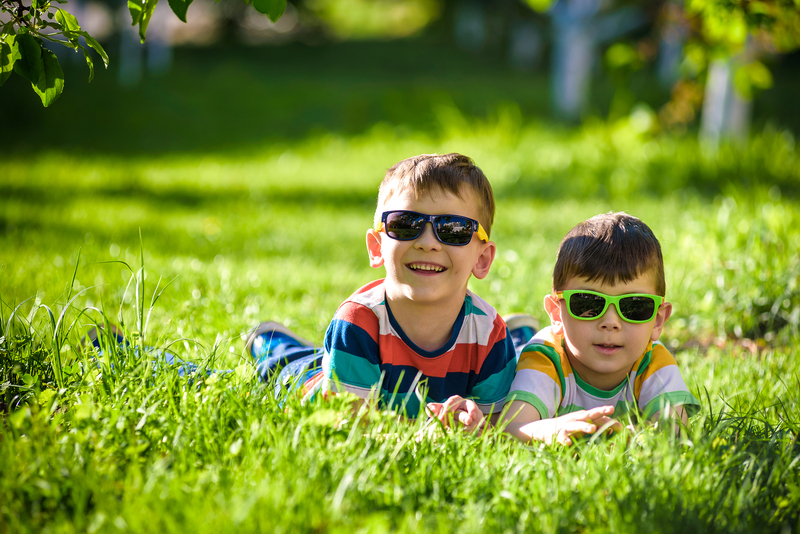 Children are exposed to the sun’s ultraviolet rays year round. All prolonged sun exposure and sporting activities should be accompanied by protective eyewear (and maybe, even, a brimmed hat). It is best to keep babies, under 6 months, out of the sun entirely, shielded by hats, stroller canopies and umbrellas. Including your children in the selection process will make buying sunglasses fun. If they love the glasses they will be happy wearing them. Be sure to choose sunglasses with lightweight polycarbonate lenses with 100% UVA and UVB protection and maximum impact resistance. Look for frames that are rounded, flexible and have wraparound coverage. They should fit snug and may include a velcro band, good for playing sports. Comfort and style are key factors in selecting glasses your child will keep on wearing. Remember, teaching kids to protect their eyes from a young age will pay off through old age. They’ll thank you for it!